There is an old saying here at the Daily Dealer office: You can never have too many knives. The point is, when you see a crazy deal on a knife you don’t currently own, the only thing to do is to pounce. 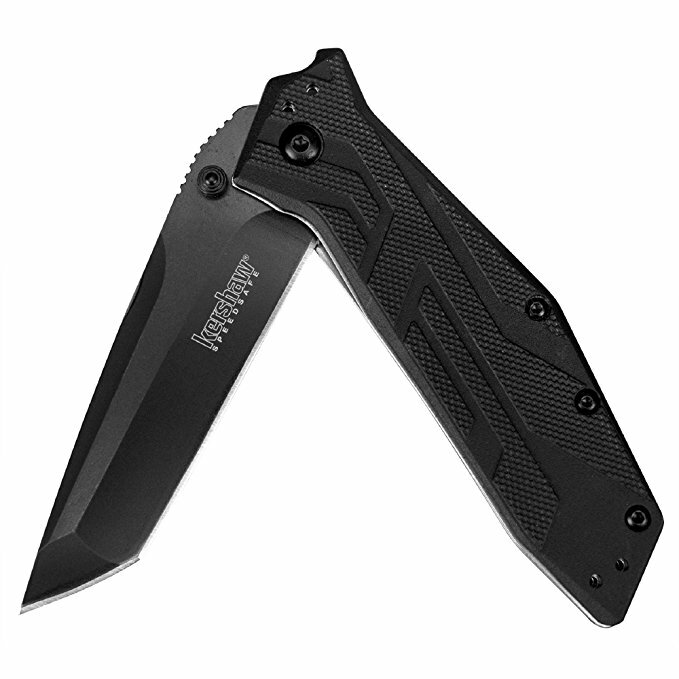 Today, I want to highlight the Kershaw Brawler, which happens to be over half off at the moment. This folding pocket knife has a 3-inch tanto style, high performance stainless steel blade with “excellent edge retention and corrosion resistance.” The handle is designed for fast deployment, using Kershaw’s SpeedSafe opening system to enable “smooth, secure, fast one-handed blade deployment.” Just apply pressure to the flipper or thumb stud and your knife is ready for action. It also uses a dual-liner secure lock system that prevents unwanted blade closure. Kershaw has come to dominate the EDC market, and this flipper is no exception. Nearly 1,800 customers have reviewed the Brawler on Amazon, with 72 percent of them giving it perfect marks. Whether you need it for opening packages, piercing holes, cutting cords or wilderness rescue, there is no question this knife will come in handy.